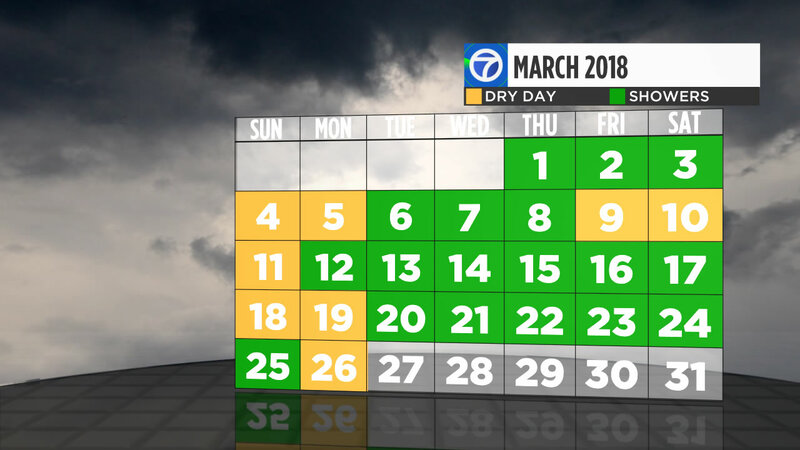 SAN FRANCISCO (KGO) -- March certainly came in like a lion after an extremely dry February. Eighteen of the past 26 days have featured showers across the Bay Area. Most cities have seen anywhere from 2 inches to as much as 6.5 inches of rainfall just this month alone. RELATED: Get your ABC7 AccuWeather forecast here! However, having such a slow start to our rainy season has kept our rainfall well below average, sitting anywhere from 53 percent to 66 percent of average. March has been a blessing to the Sierra as several storms dumped feet of fresh powder. We've jumped from 24 percent on March 1 to 58 percent of average Monday for our snow pack statewide. The next seven days will see our pattern completely do a 180 as warm and dry conditions take over and rainfall will be hard to come by statewide.